News broke earlier this week that a former Oregon Department of Energy (ODOE) employee pleaded guilty to racketeering and other charges following an Oregon Department of Justice Investigation into the agency. The former employee had been an administrator in the department’s now-defunct Business Energy Tax Credit (BETC) Program. He admitted to abusing his position to garner $291,000 in kickbacks over 3 years, from mid-2012 to early 2015. This is the latest development in ODOE’s efforts to clean up the agency following 2015 revelations of problems in BETC Program. The news does not reflect ODOE’s culture or values, but rather that its efforts to bring full transparency to past problems are working. ODOE requested the DOJ investigation in 2015, collaborated closely with investigators, and is continuing to do so. However, in support of legislators’ efforts to start with a clean slate, OSEIA is part of a working group that has agreed to support a new solar tax credit to replace the RETC program as it is allowed to sunset (see the policy update for more details). Despite its growth, solar is still an emerging industry that needs some incentives to help homeowners install systems. 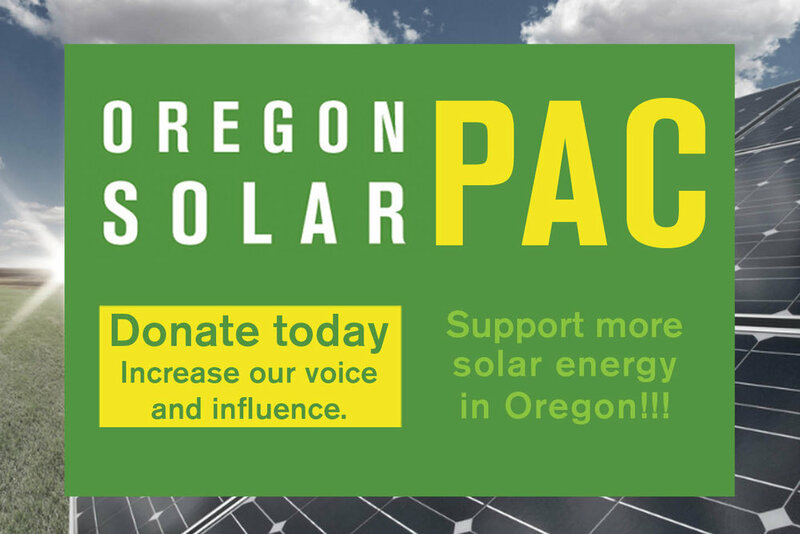 We are gratified that legislators recognize the need for continued incentives for solar.